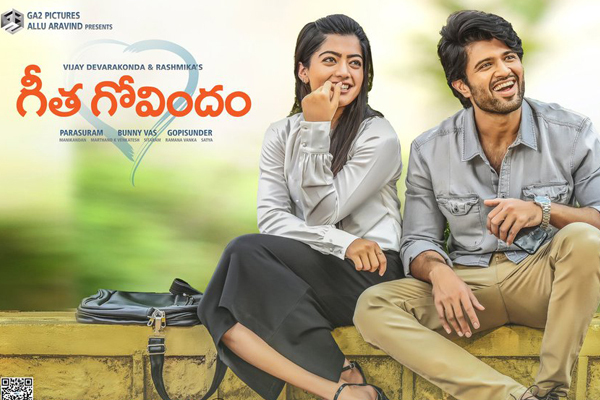 The great battle of Allu Arjun with the team of Geetha Govindam  Vijay Devarakonda, the star of Rashmika Mandanna Geetha Govindham is creating ripples at the box office after her release on Independence Day.The awards have come from all the neighborhoods and several bigwigs have praised the whole team. The film is produced by Bunny Vas, a close collaborator of Geetha Arts, that weekend Allu Arjun, the trendy star, will organize a big party for the whole team: Allu Arjun is one of those stars who always raises for success of other films and that in the summer he organized a successful party for the team of Mahanati. The creators of Geetha Govindham are planning to organize a successful meeting this Sunday and Megastar Chir anjeevi is likely to participate in the event.